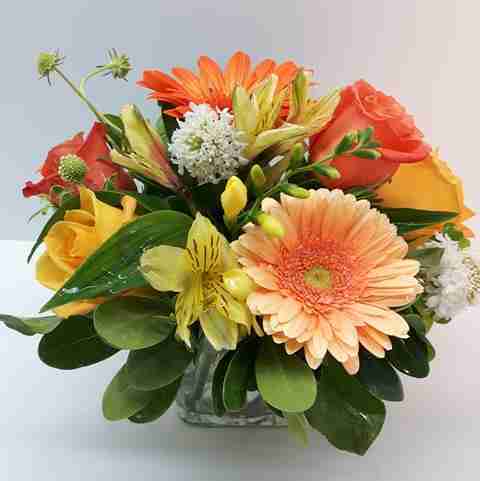 This delightful arrangement, highlighted by peach roses and gerbera daisies, also includes yellow roses, freesia and alstroemeria. 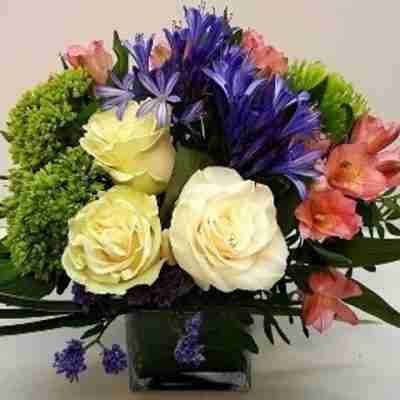 This lovely assortment of flowers makes any occasion a special one. 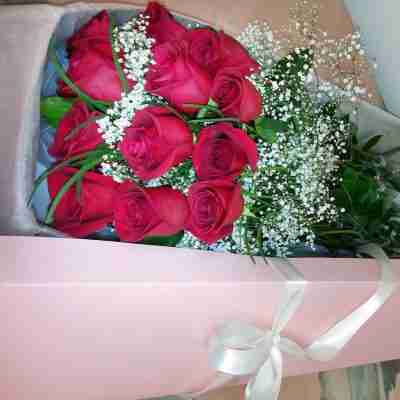 In some instances, the actual bouquet or arrangement may not precisely match the photo. Occasionally, substitutions of flowers, plants or containers may happen due to seasonality and market conditions. 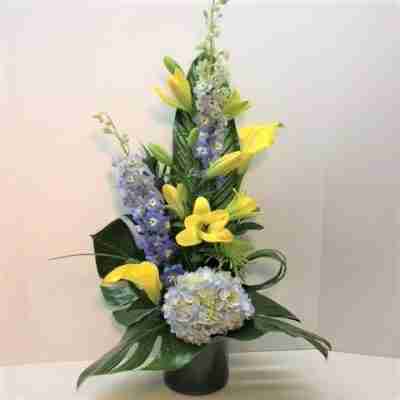 We will ensure in this case that the style and theme of the arrangement you have selected is preserved and we will only substitute with flowers of equal or higher value.